This beautiful classic raised noseband English bridle features a classic brown finish that is perfect for flatwork or jumping, complete with soft nylon reins on premium leather. Now on sale for only $19.99 for a limited time today! **Bit NOT included. To purchase the bit, please click here. This beautiful classic raised noseband English bridle will be perfect for all of your all purpose riding needs. The set is made from 100% premium leather with soft nylon connected reins. 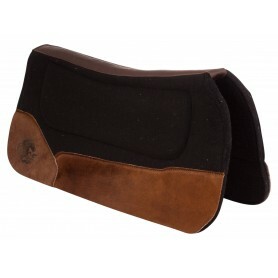 The beautiful classic brown finish is perfect for schooling or horse shows whether you are on the flat, or in the jumping ring and is great for daily use. One size fits most horses. Nice quality bridle for the price. 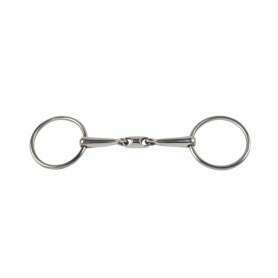 Leather is soft and supple except on rolled browband and noseband. I personally am not fond of stiff nylon reins so I may replace these with leather later. 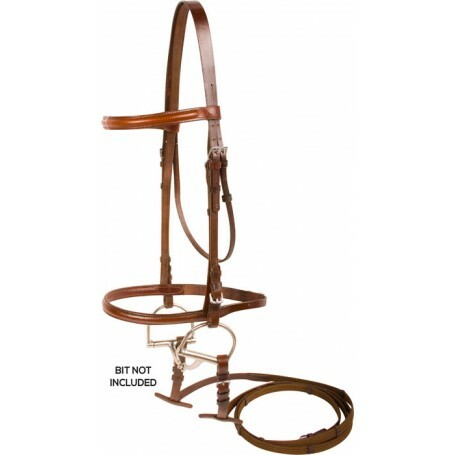 Overall, you can"t beat this bridle for the price.